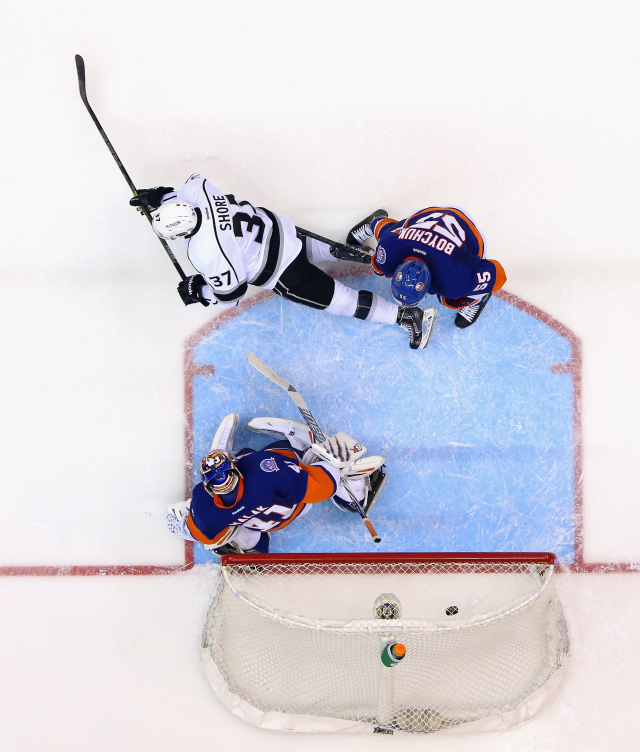 Whether it’s due to the low levels of light in the building, or the terrific photographers that shoot Islanders games – or likely a combination of the two – the selection of photos from Nassau Coliseum is always excellent. 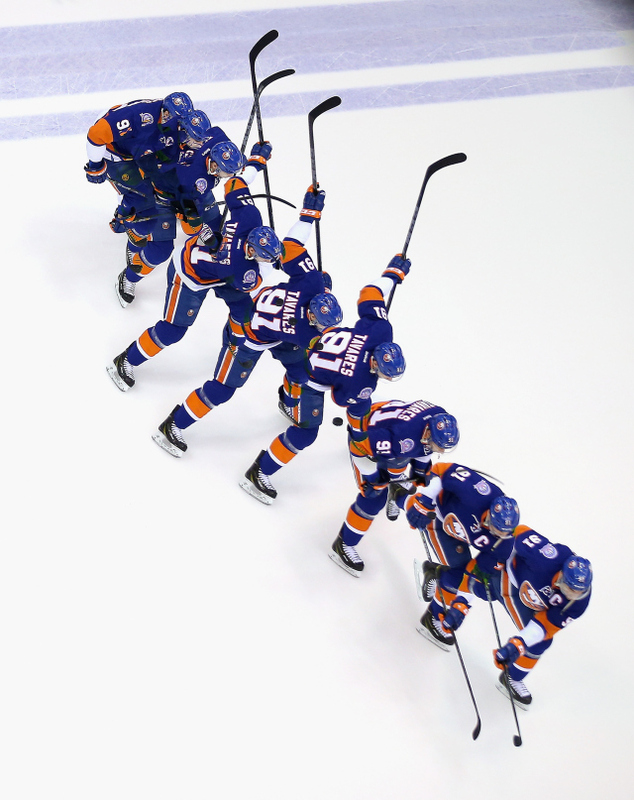 When I’m searching for photos of a particular player in their road jersey, I’ll almost always start by searching Getty Images for photos of him playing on the road at Nassau. 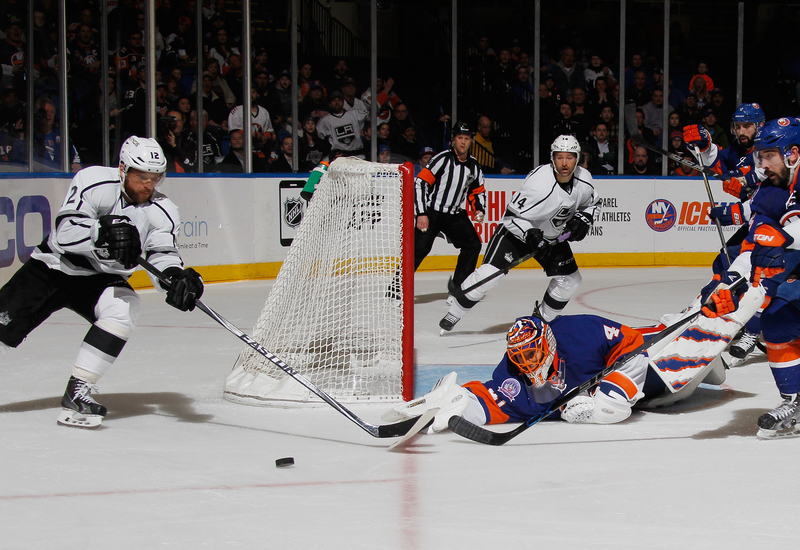 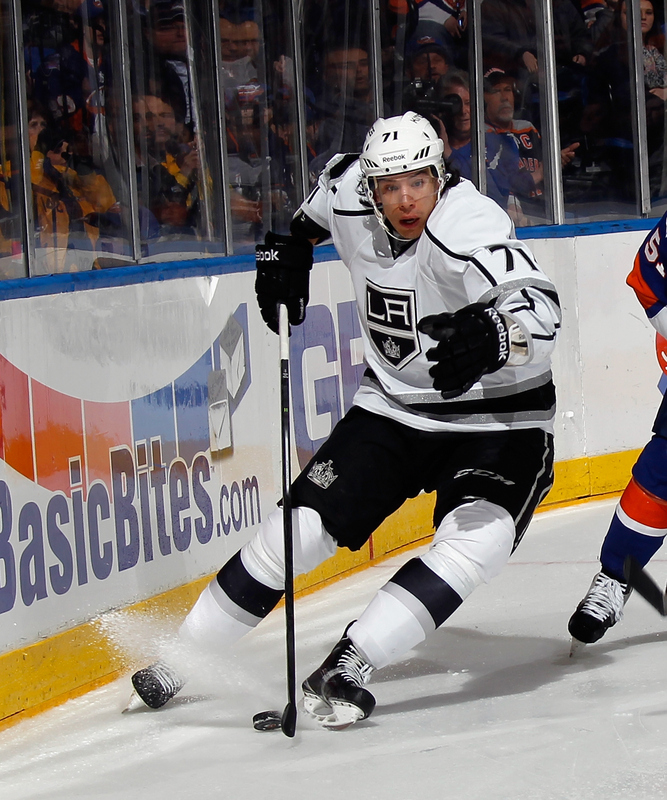 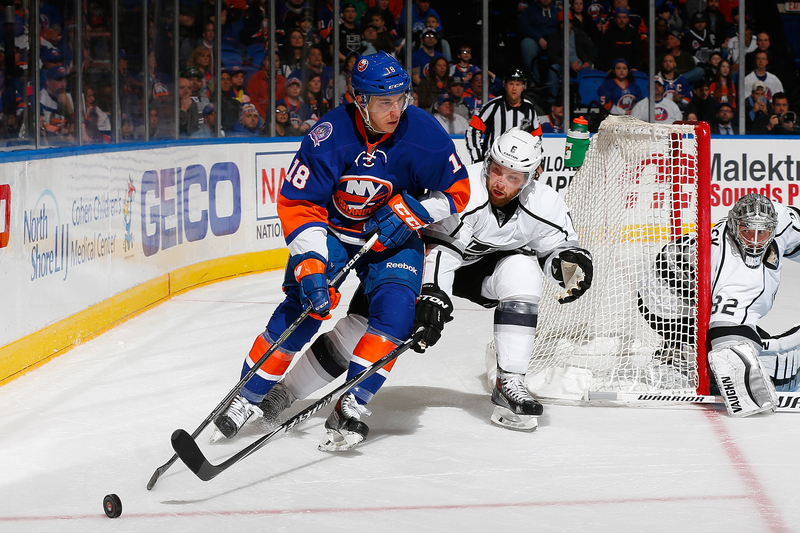 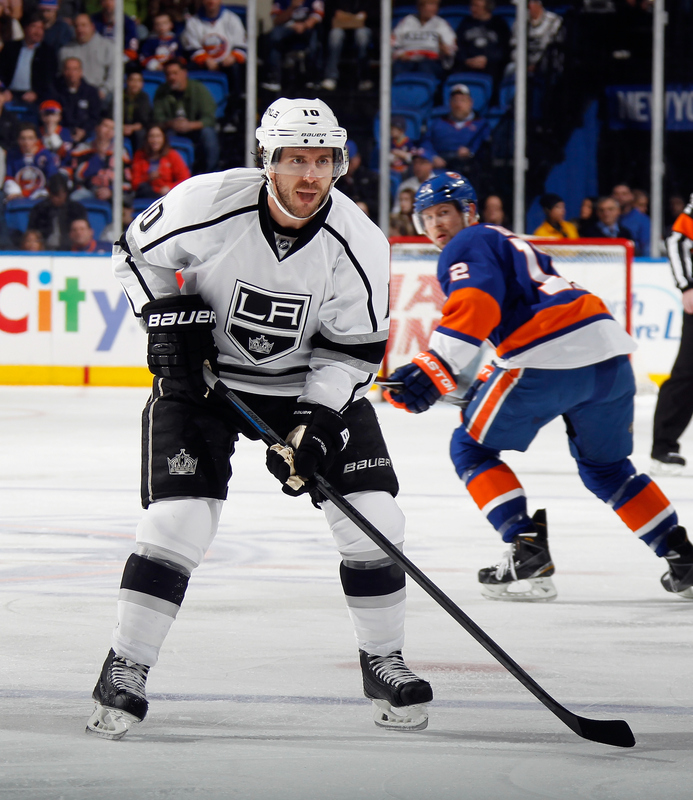 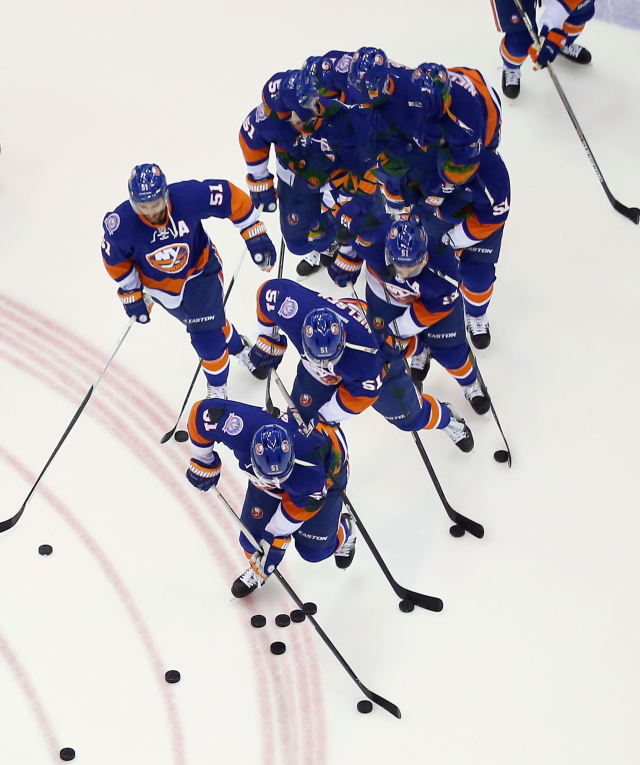 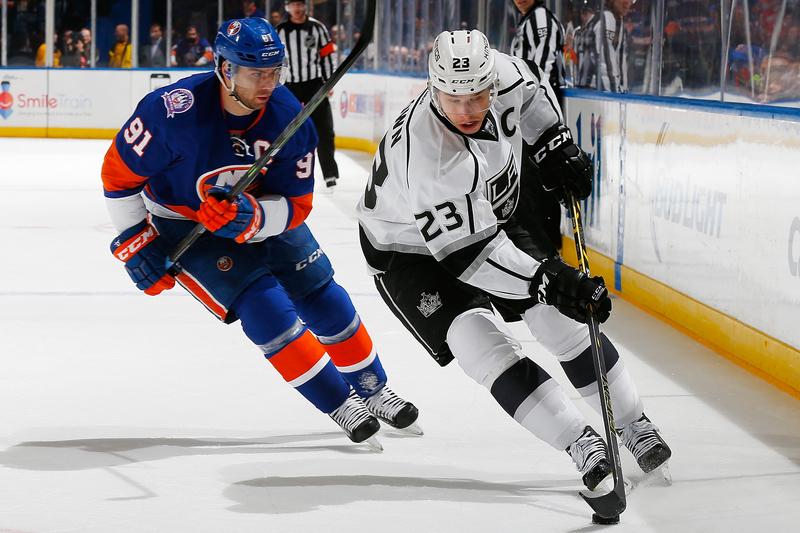 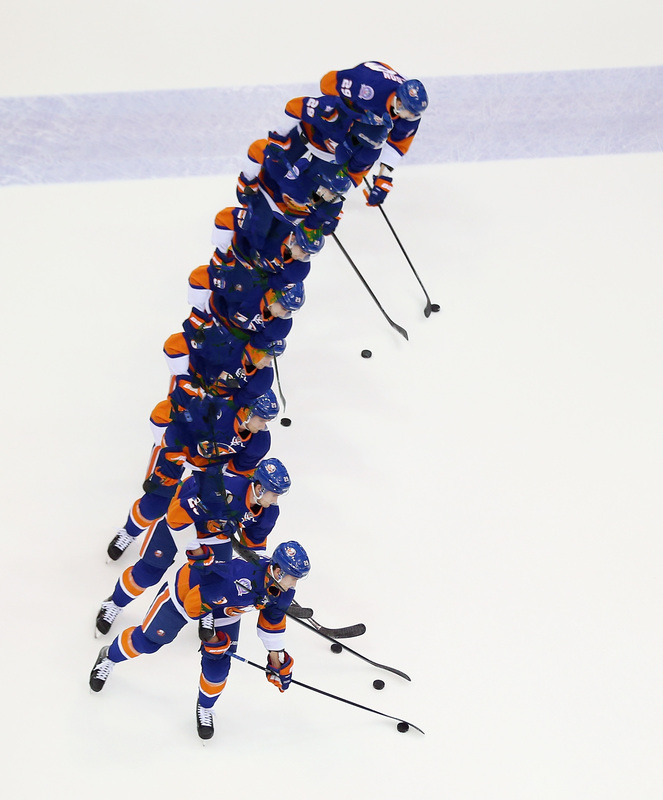 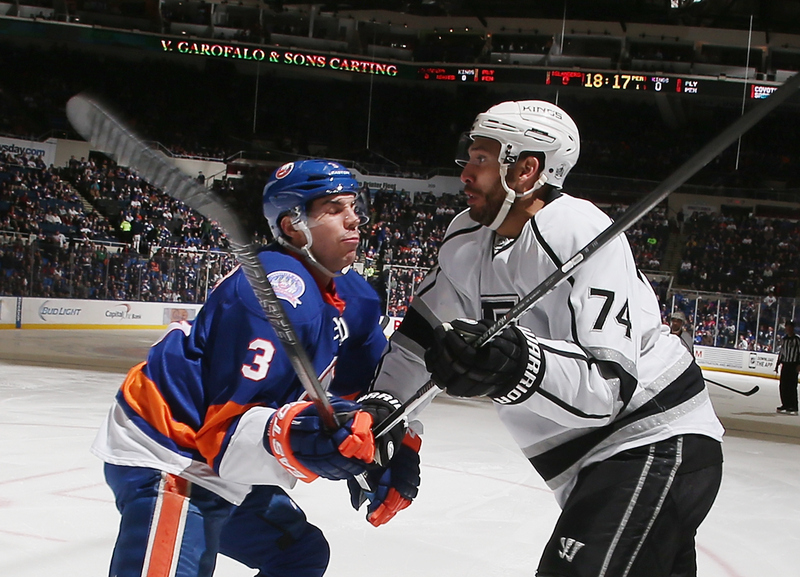 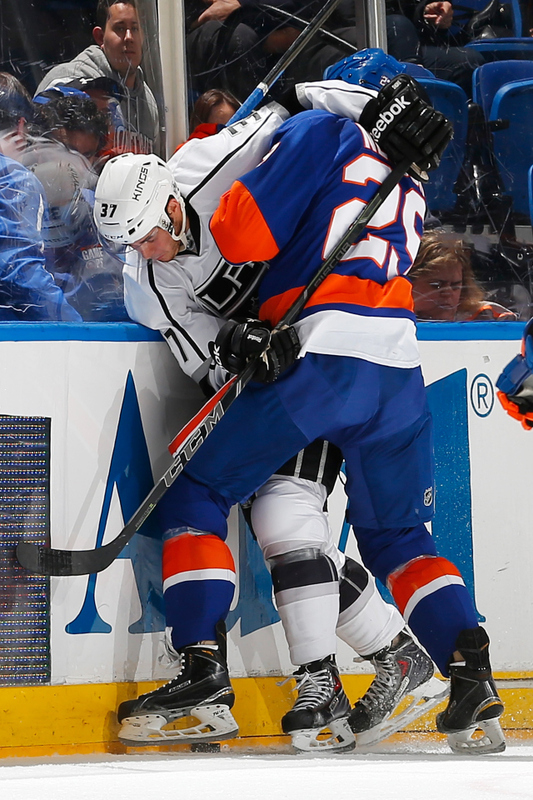 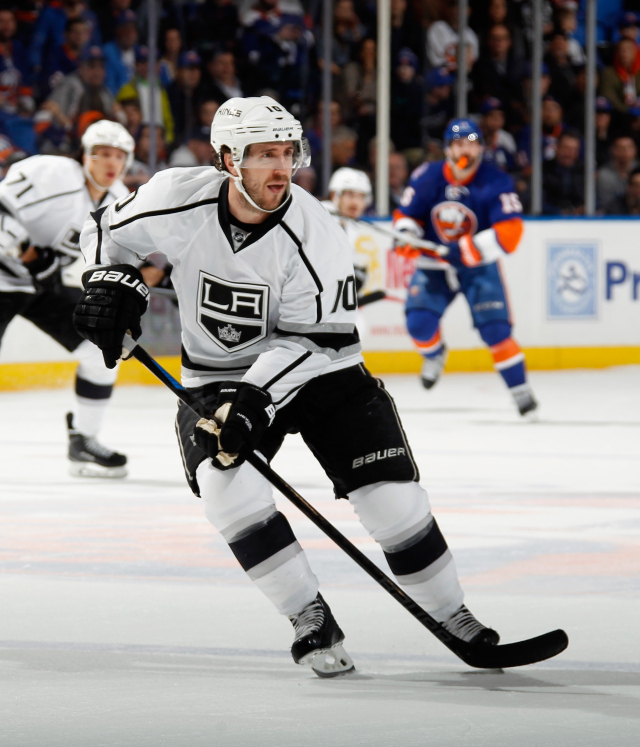 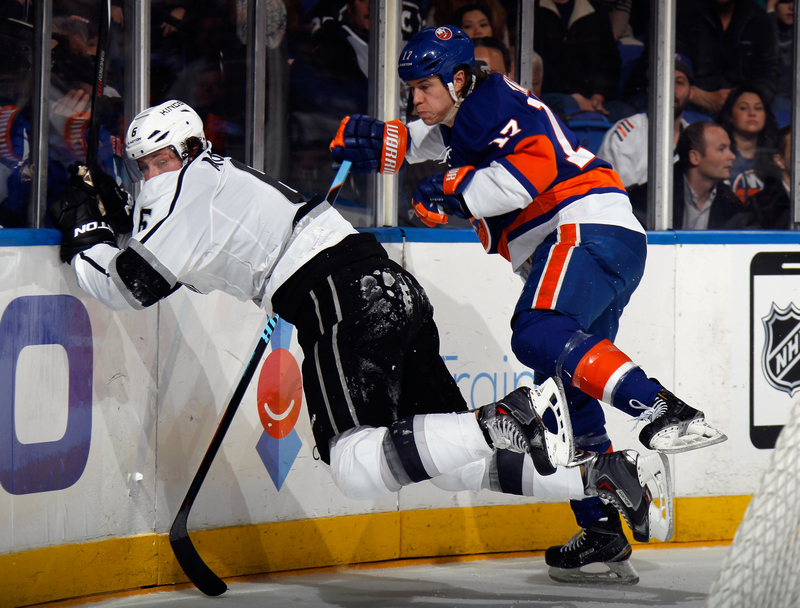 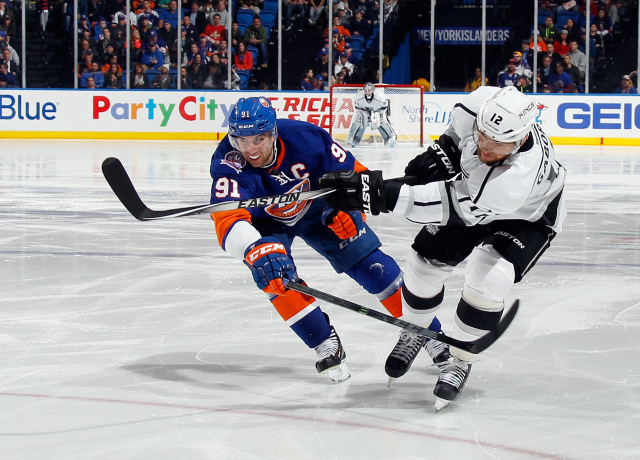 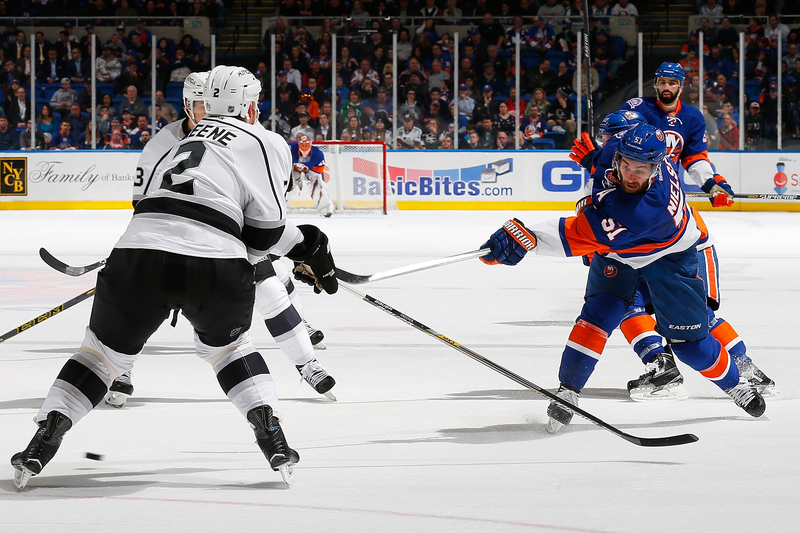 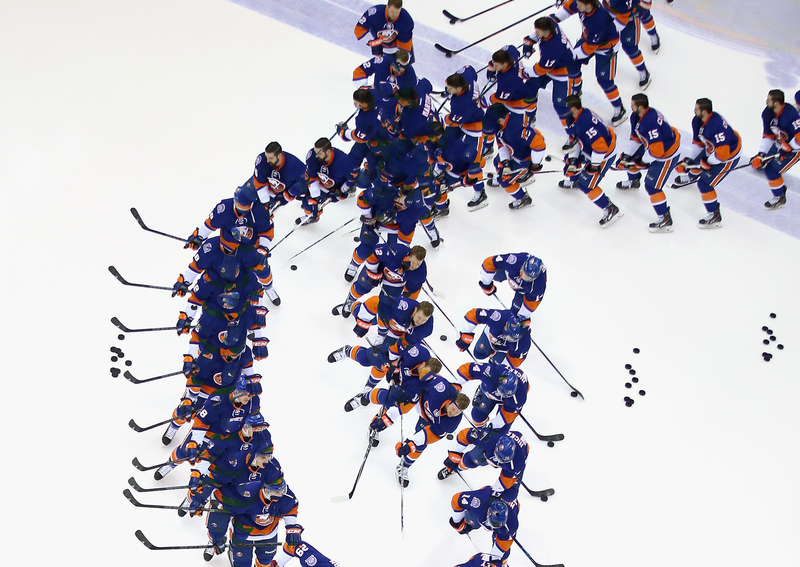 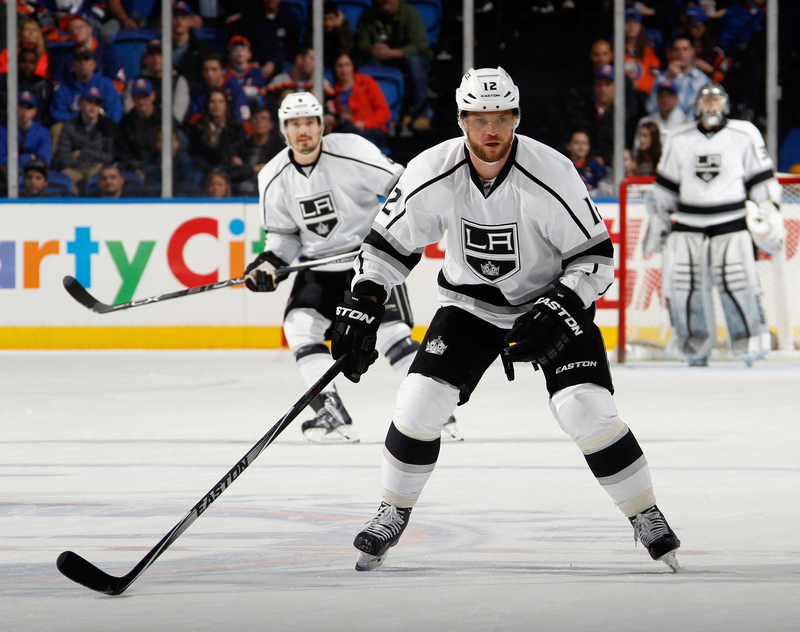 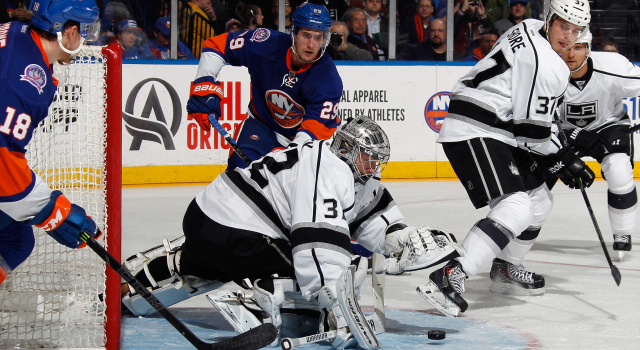 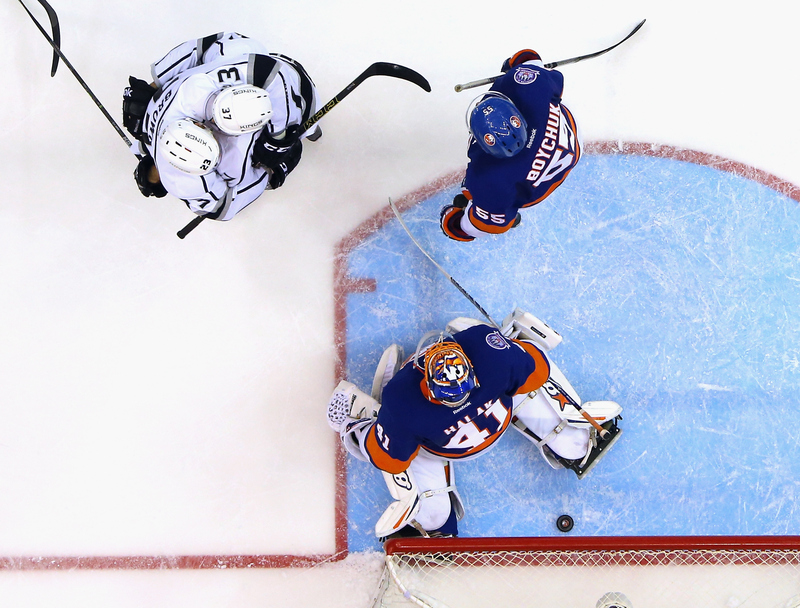 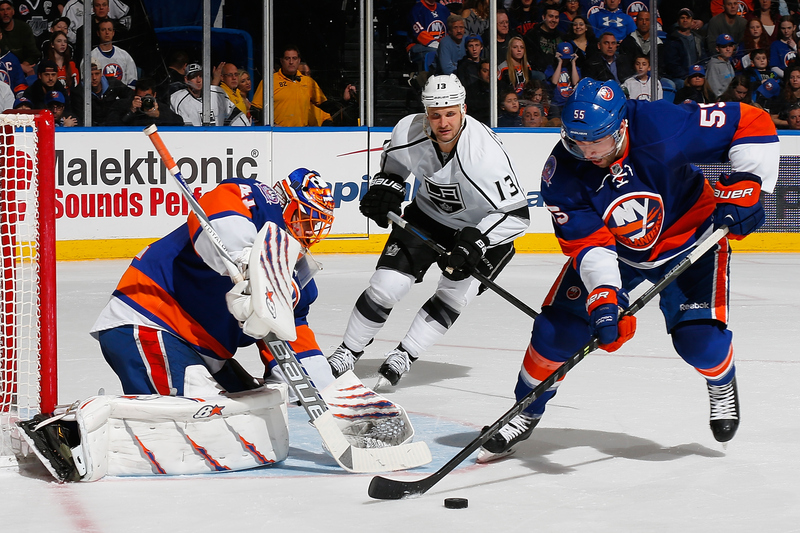 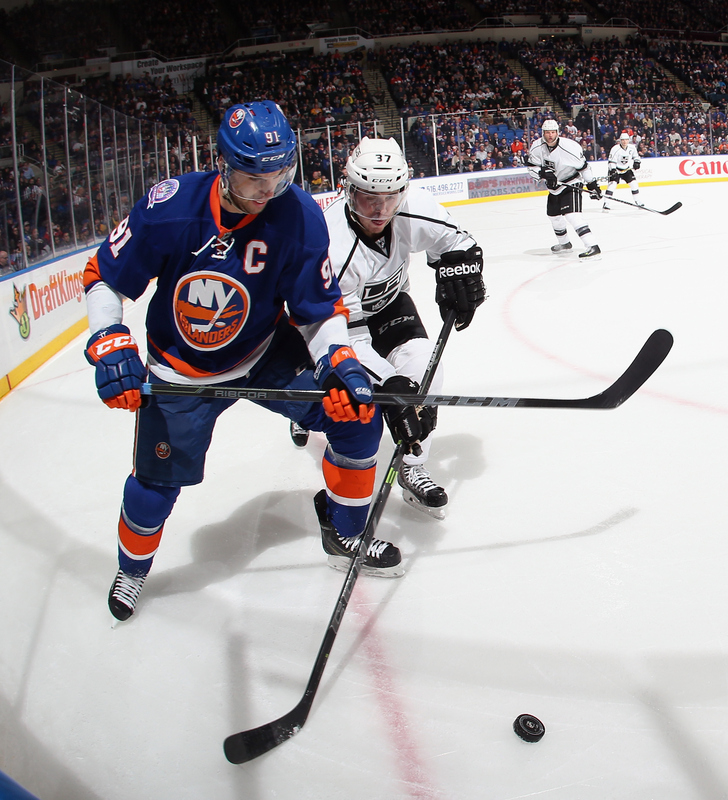 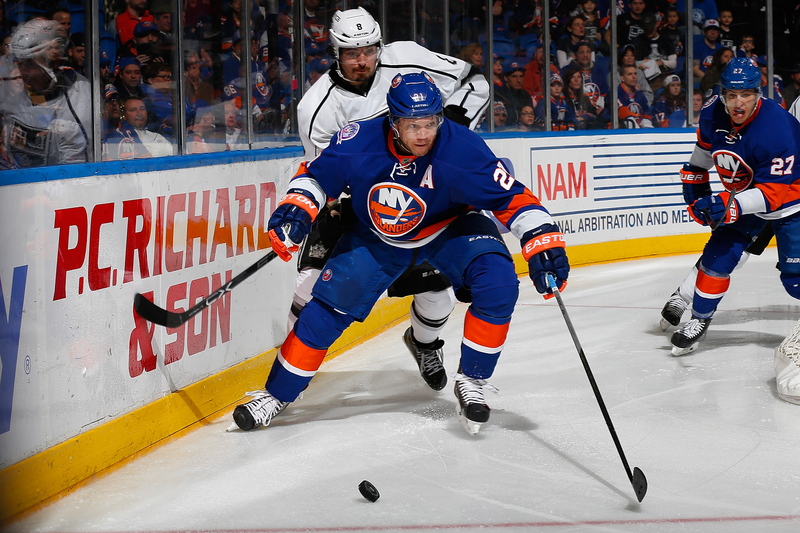 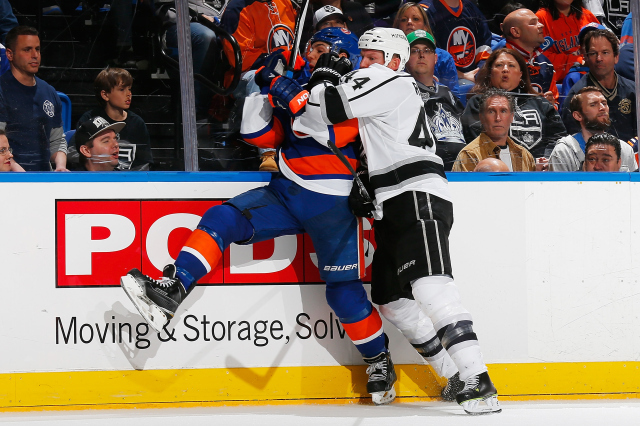 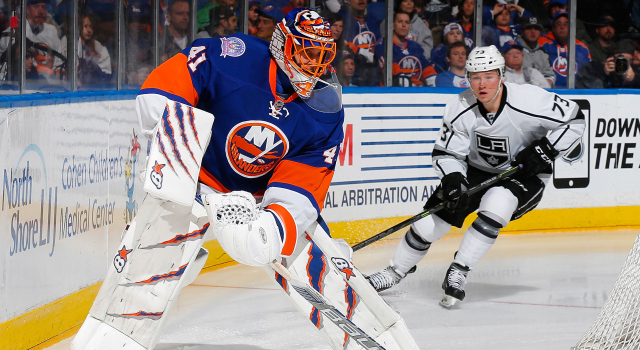 Last night, outstanding Islanders photographer Mike Stobe and the legendary Bruce Bennett, the Director of Photography, Hockey Imagery at Getty Images, captured the final Kings regular season game at Nassau Coliseum, and their work was, as usual, excellent. 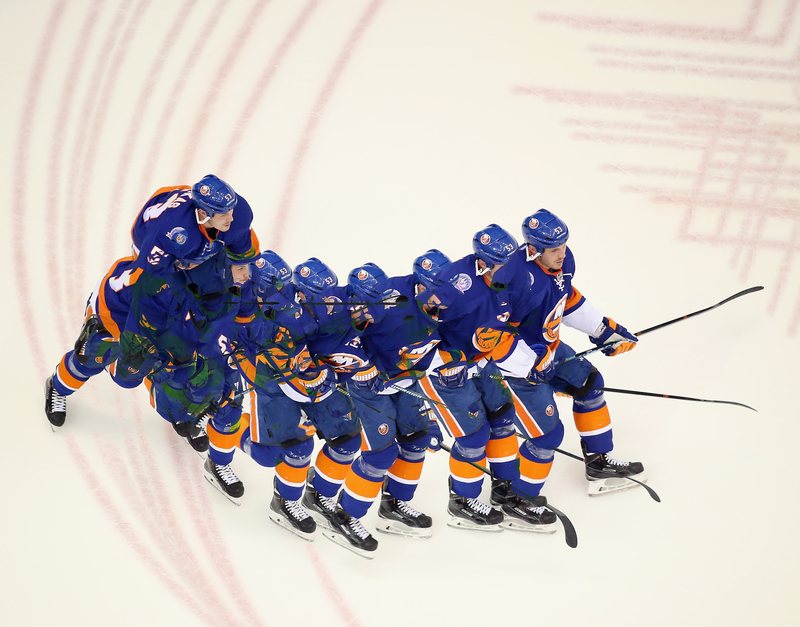 There’s something about the way the Islanders’ blue and orange jersey jump off the ice in the dimly lit building. 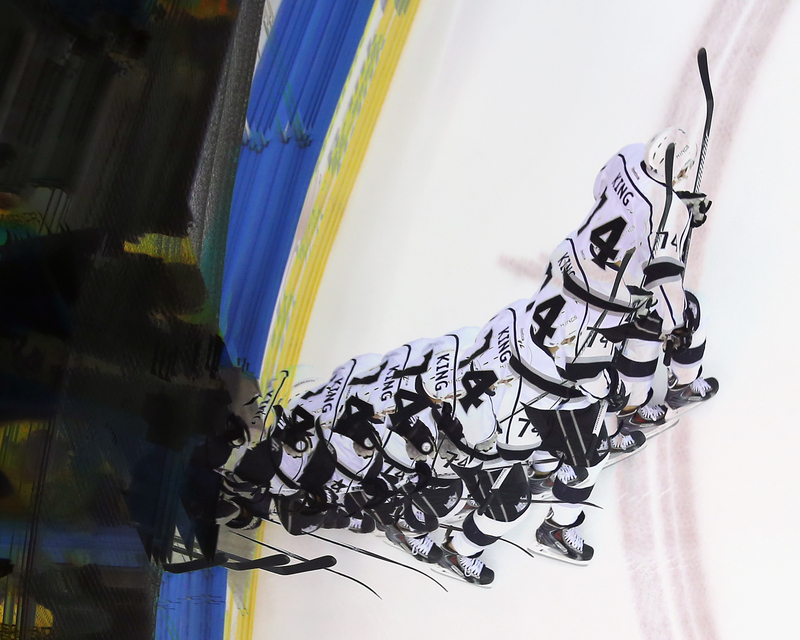 Note: the multiple motion-captured exposures were courtesy of Bennett. 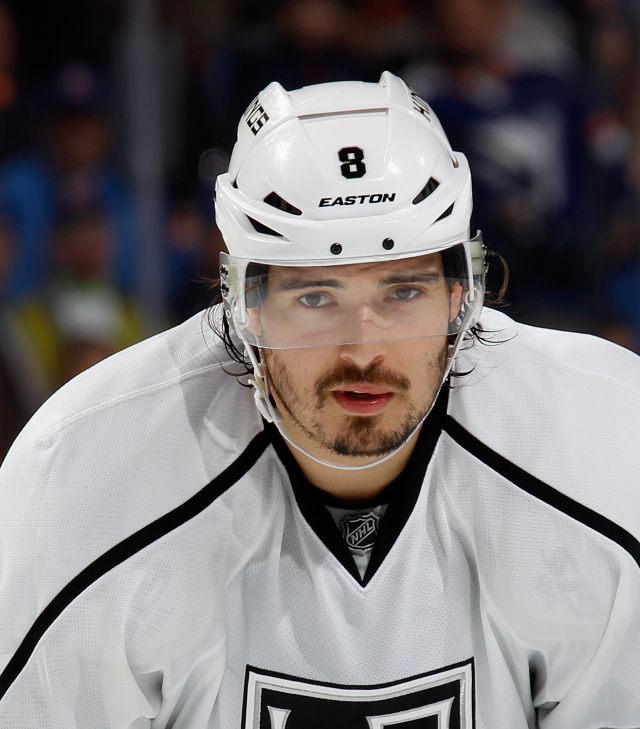 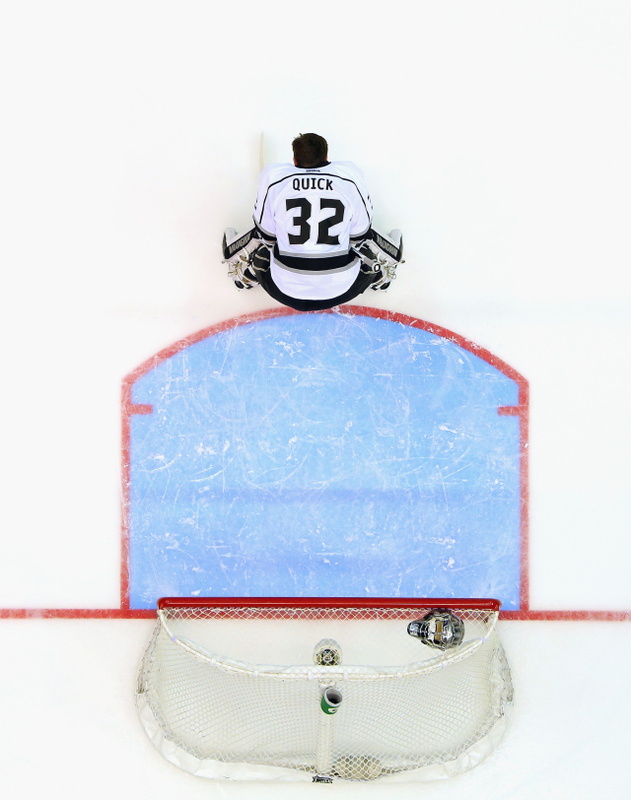 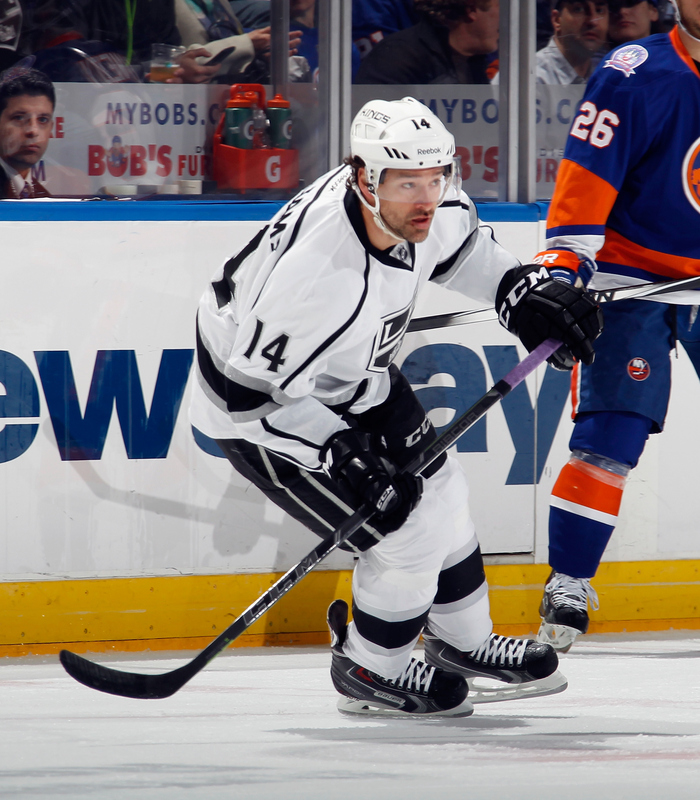 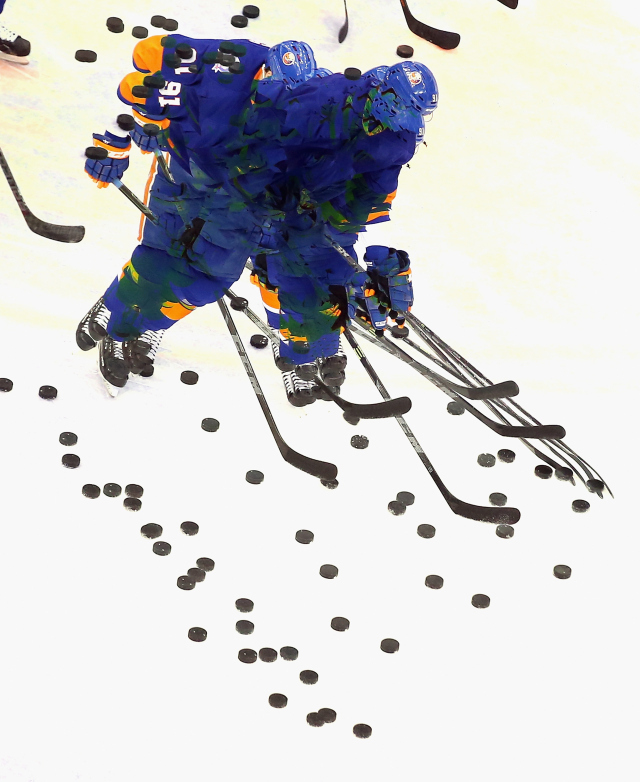 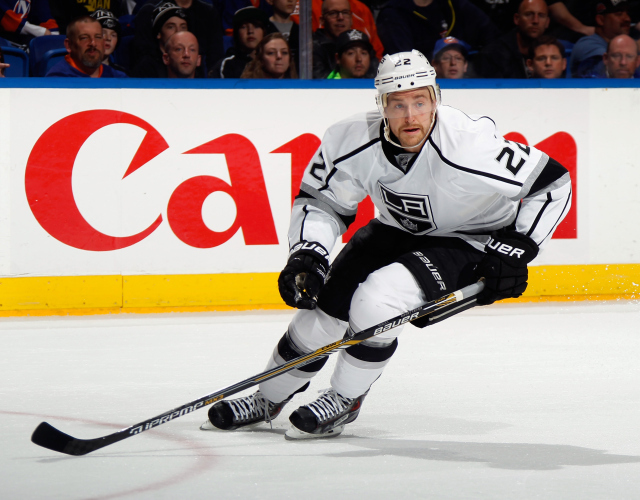 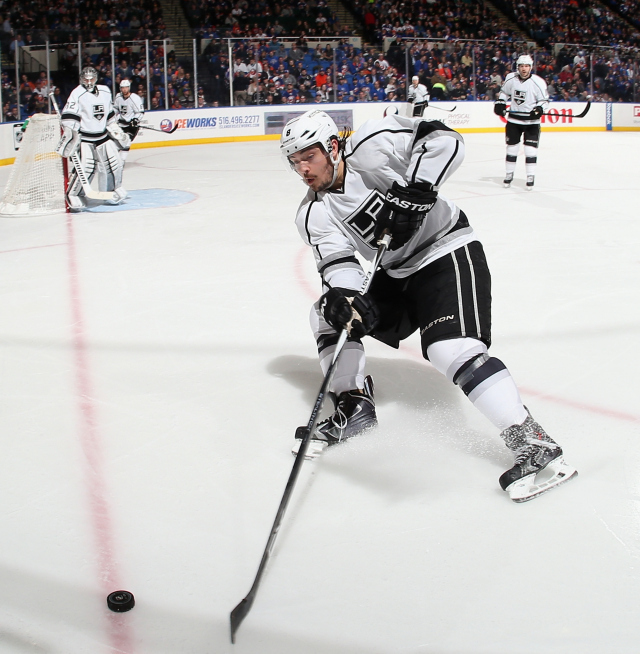 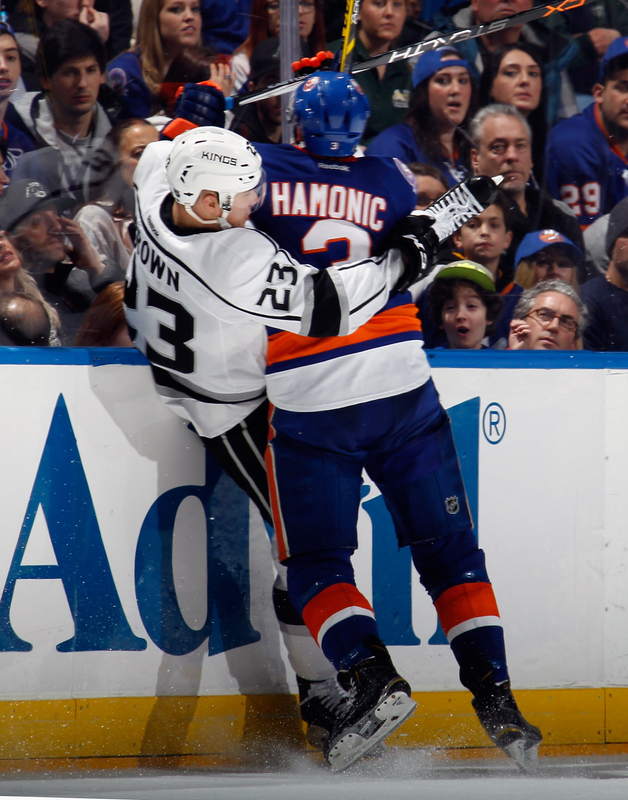 All photos courtesy of the NHL, Mike Stobe, Bruce Bennett, and Getty Images Sport.